A wonderful night in God’s Word. The Psalms portray the pathways of God’s people as they experience him bringing them to himself from all the places of brokenness. Categories: 1 | Tags: Concerts, Music, Sons Of Korah | Permalink. 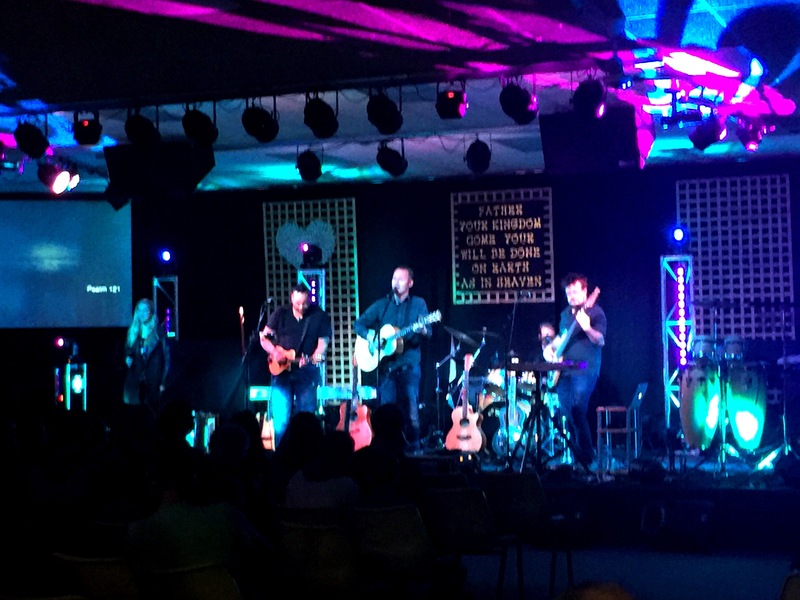 Sons of Korah are playing in Mount Gambier next week. I’ll be listening to their albums on a very long car trip tomorrow as preparation. A great live music experience. Categories: Music | Tags: Music, Sons Of Korah | Permalink. This can be found on Sons Of Korah’s album Wait which also has a track featuring the second half of the Psalm. Categories: Bible, Music, Psalms | Tags: Sons Of Korah | Permalink. Sons Of Korah return to Mount Gambier on June 19. Last year 230 folk packed mgpc to bursting point for a great night of music. They’re in a larger venue this time around, so there’s plenty of room to bring your friends. Tickets at their website or at the door. 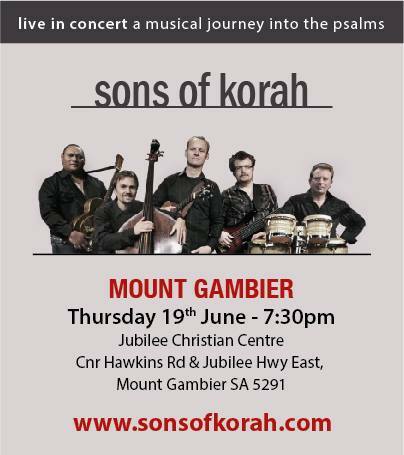 Categories: Mount Gambier, Music, Psalms | Tags: Sons Of Korah | Permalink.